Alright guys, @ToaNoah_Wafflemeister here for the last "work pack". I'd like to thank... um... myself? And all of the feedback that has helped me shape these sets! So, here it is: the Kanaean Defense Team. A dreaded Sky Viper floats across the sky, spotting a Kanaean village to attack. 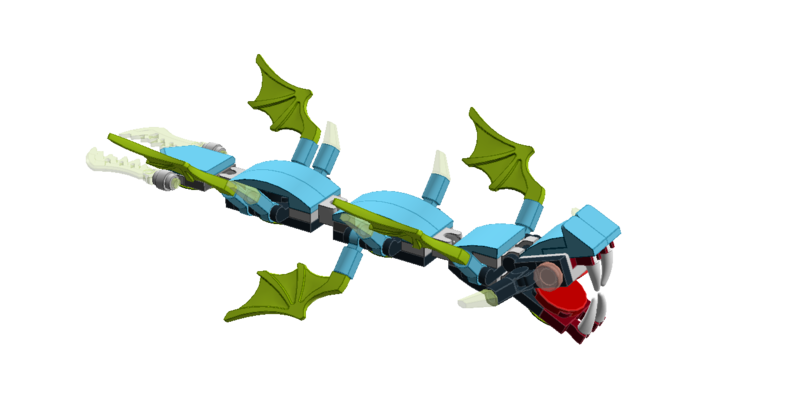 Armed with strong spikes and powerful gaping jaws, the Sky Viper prepares a strike, only to be intercepted by a Kanaean Defense Team! Led by Defilak, the three troopers head out with their young Gukko partner, armed with a spear cannon on its back. 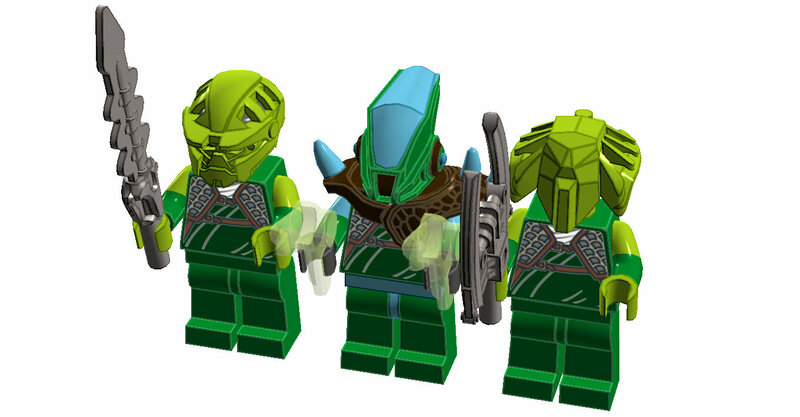 Here are Defilak (center) and his two buddies. Not much to say. Sword, boomerangs, whatever that '06 weapon is. 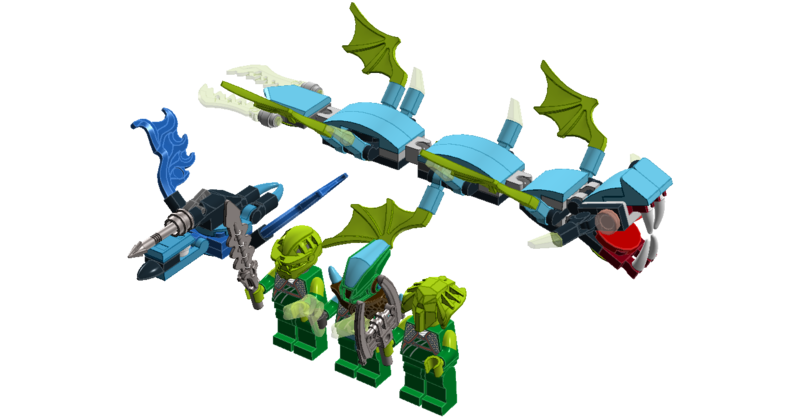 Here are the two main pieces to the set: the baby Gukko, and the Sky Viper. While functions were basically impossible, aside from the stud-shooter, I guess articulation counts? Because the Viper has a lot of it. I made his spikes those cool Ben 10 spikes, just 'cause. The final project. (sigh). Now I'll need to find something else to occupy my time- like homework (shudder). 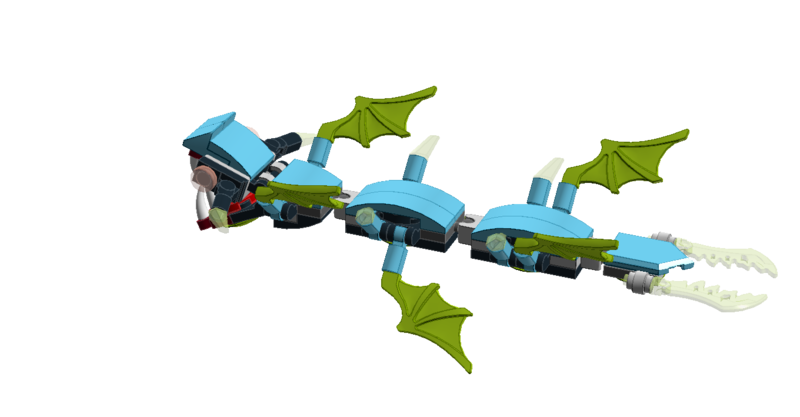 I couldn't decide whether to make a baby Gukko or a Sky Viper, so I just did both. I feel like some comment is going to be made about Kanaeans allowing a baby to fight, so I'm just going to say that sense Kanaeans don't care much about their own lives, they'll care about a Rahi's even less. Yay! Alright, so which is your favorite "work pack"? Any feedback is both encouraged and appreciated! Search party is definitely my favourite. That snowmobile is legit. Anyways, I really like the Sky Viper, and it's always cool to see a Gukko. How many do we have now? This, Sokoda's Gukkofighter, and Kardax's adult Gukko...I hope that I haven't missed any. 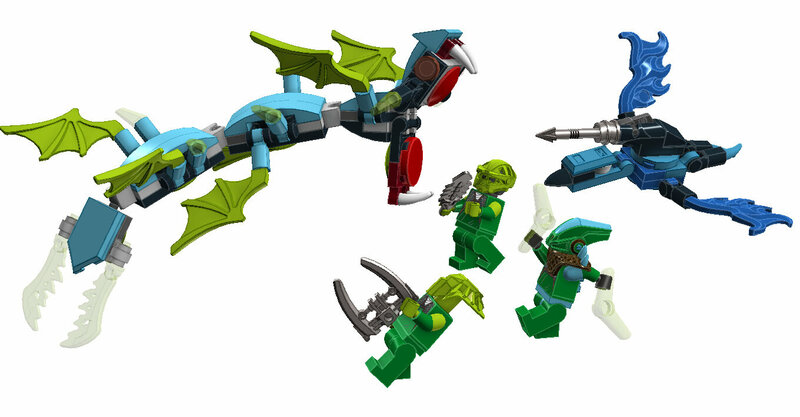 I love this set, the sky viper is really well done and definitely has a unique style to it, reminds me of Asian style dragons or something from How to Train your Dragon. 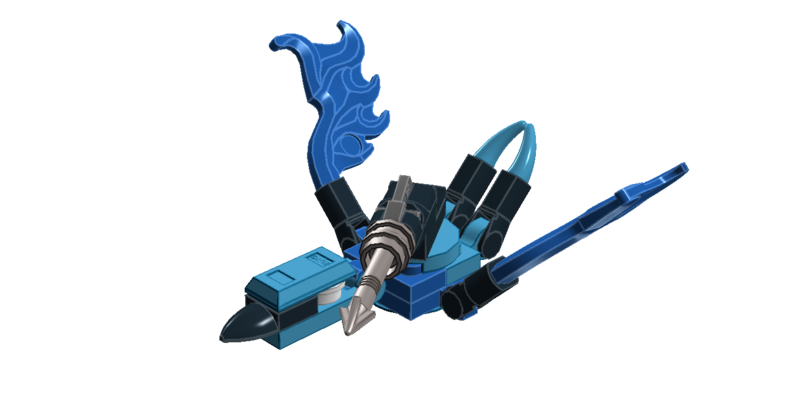 The minifigs are interesting, I usually don't do much for weapons as I've been assuming newer molds will be used so you choice of which specific weapons and prints is always interesting to see. I love it, I didn't really think that the babies would be this small (given the size of the fully grown adults, I thought they would be Argentavis sized babies as that was the bird I got inspiration from, look up ARK Argy), but I can justify it in that the mother would probably hatch at least 10 chicks at a time although I doubt that Gukko breed like rabbits or the skies would be overrun. As to the number of Gukko we have now, Mechanical Gukko Fighter, Cargo Gukko, Stealth Gukko, Baby Gukko, the Gukko Variants with no battle/cargo saddleand Kardax's Ultimate Gukko Uxar... wait.